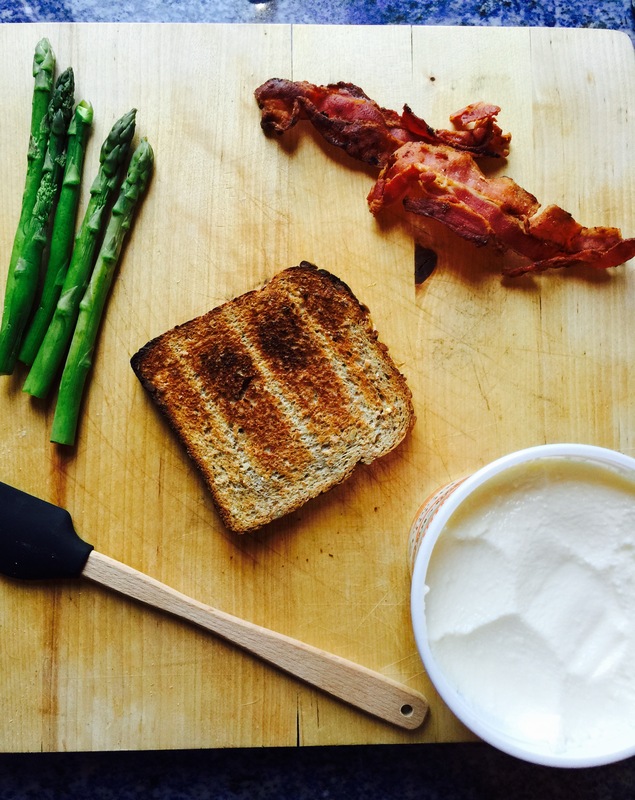 This Father’s Day weekend, why not surprise your dad with breakfast in bed for his special day! 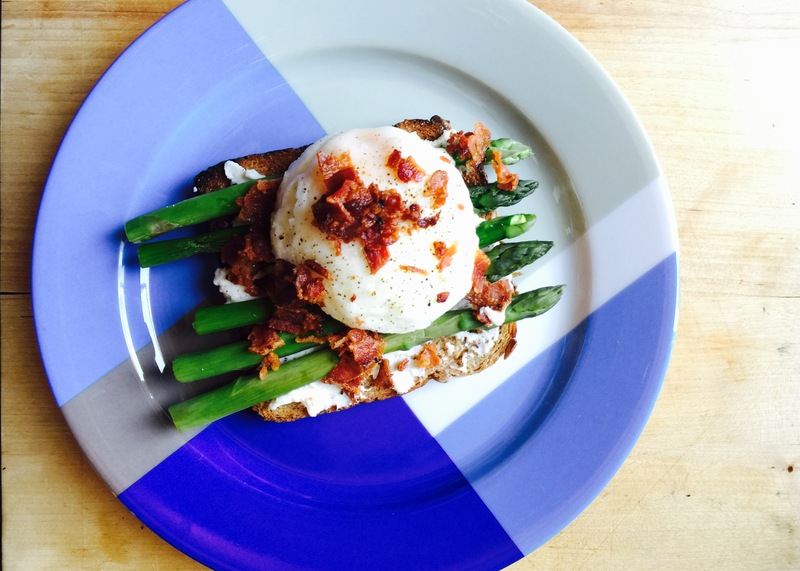 These quick, easy, healthy eggs will not only feed his hunger needs, but also surprise him with its beautiful presentation! He will love it! 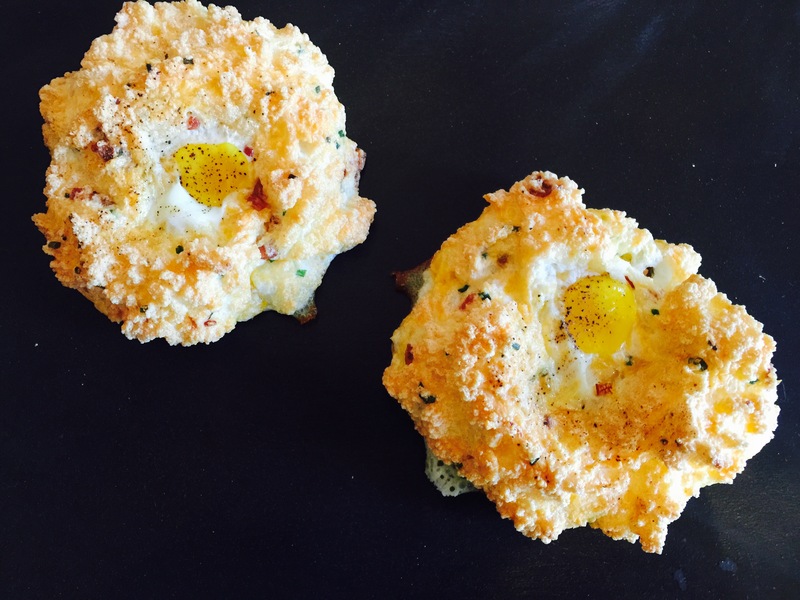 These “Nesting Eggs” are also so perfect for serving at a Sunday brunch! 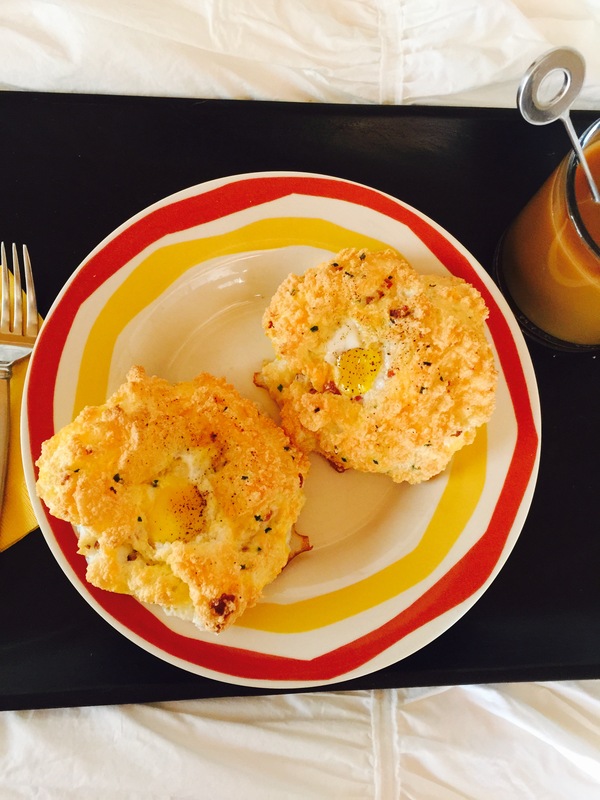 They are light, filled with flavor and feels like a pastry, but without the flour and carbs! 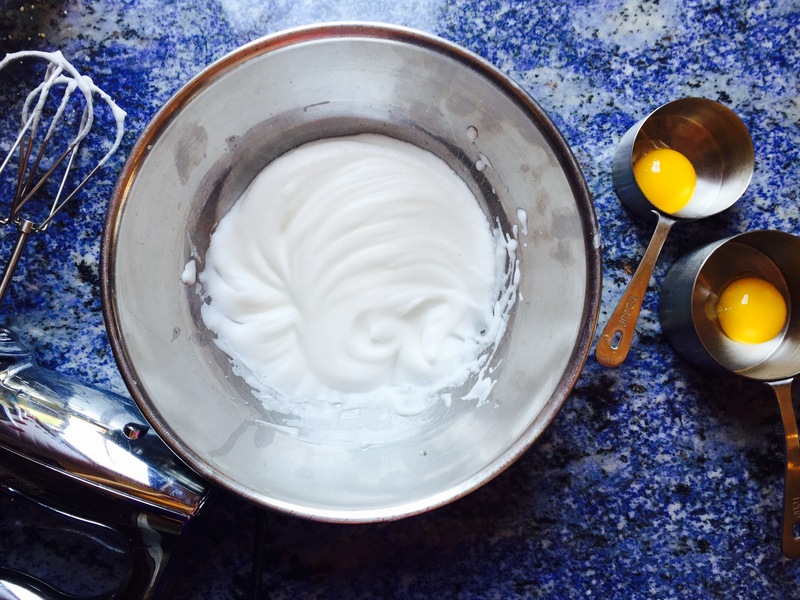 Separate eggs, putting egg whites in 1 large bowl and yolks in 2 separate bowls. Whip whites until stiff peaks form, looking like whipped cream. 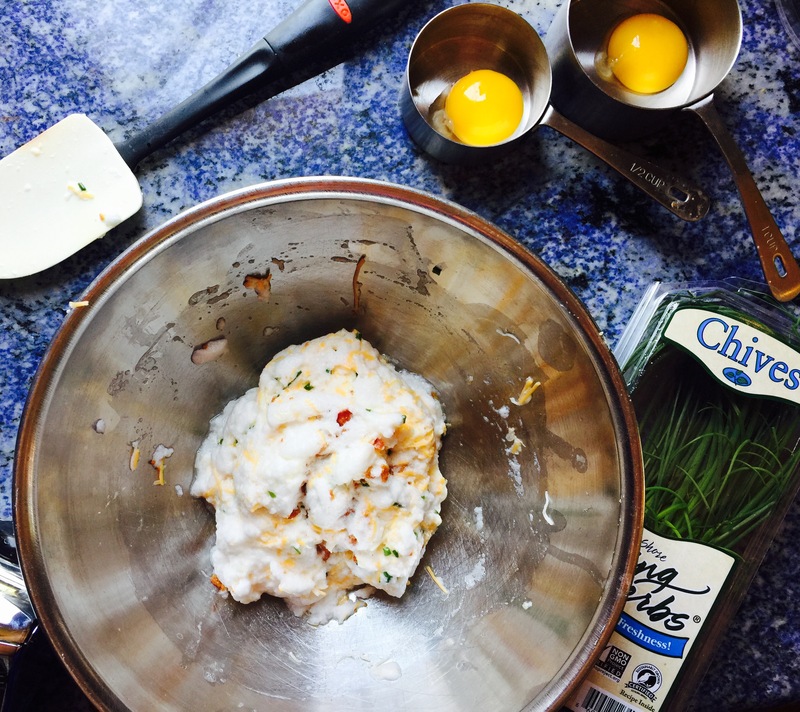 Carefully fold in the cheese, chives, and bacon. 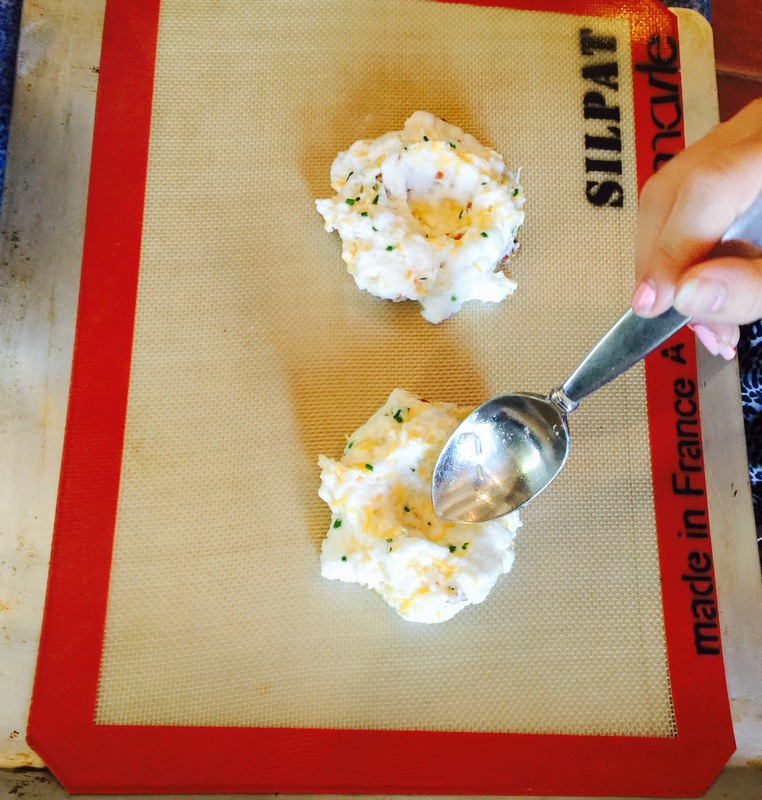 Spoon into 2 mounds on to a parchment-lined baking sheet. Make a deep well in the center of each mound. Bake mounds at 450 degrees for 3 minutes. Then take out of oven. Then add 1 yolk to each mound’s well and season with pepper. 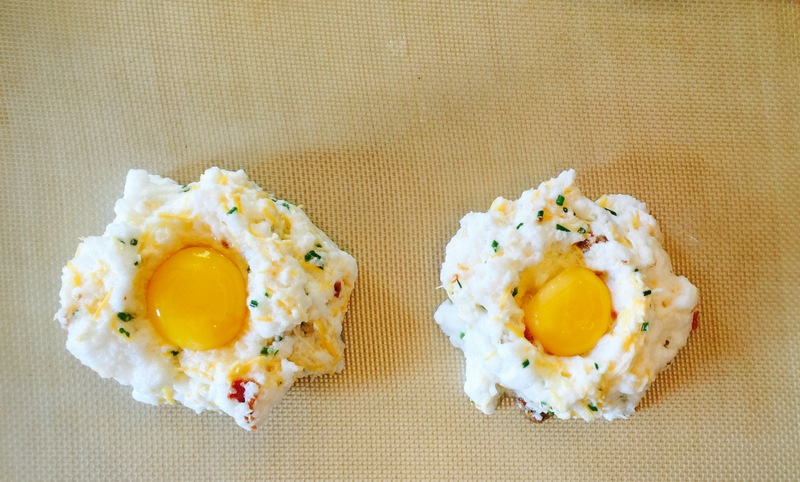 Bake back in the oven until the yolks are set and the egg whites are golden. Around 2-3 minutes. 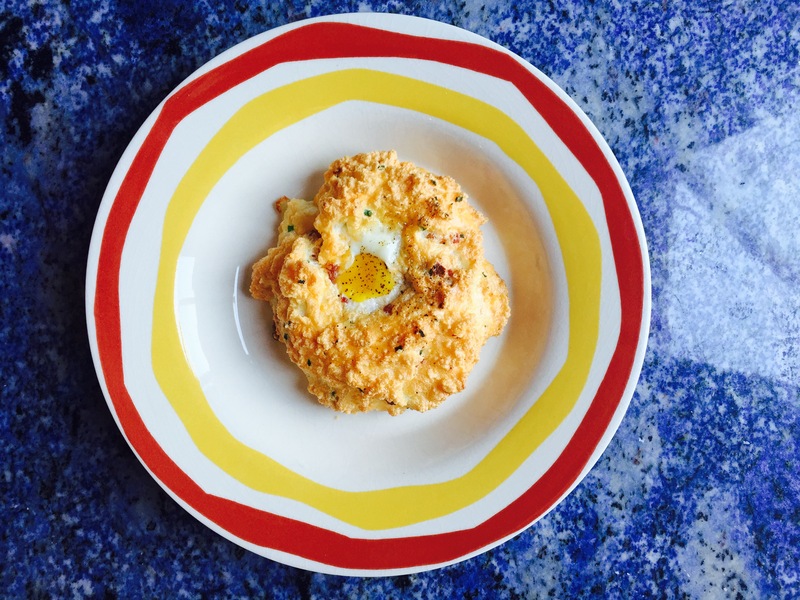 Leave in for longer if you do not want runny, sunny-side up styled eggs. 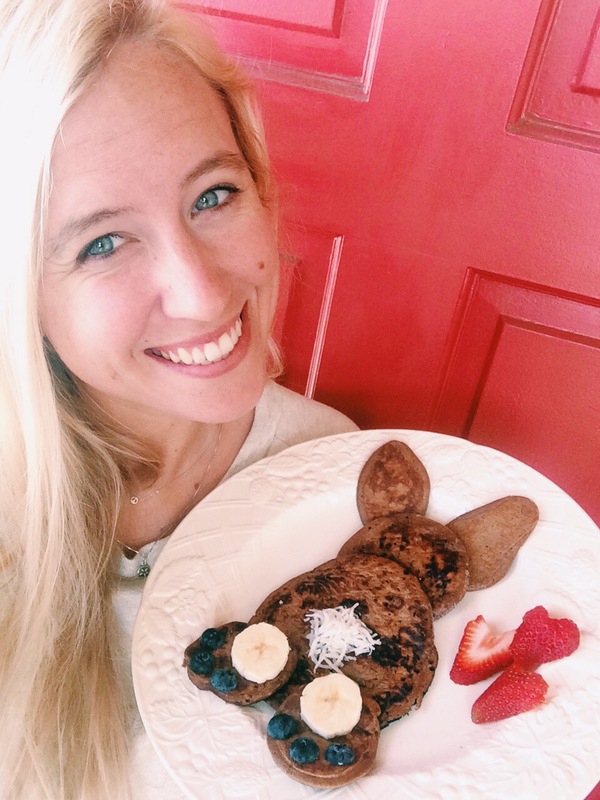 What’s better than waking up this Easter morning to some creatively cute Easter Bunny Paleo Pancakes?! If this doesn’t put a smile on your face, then I don’s know what else will. 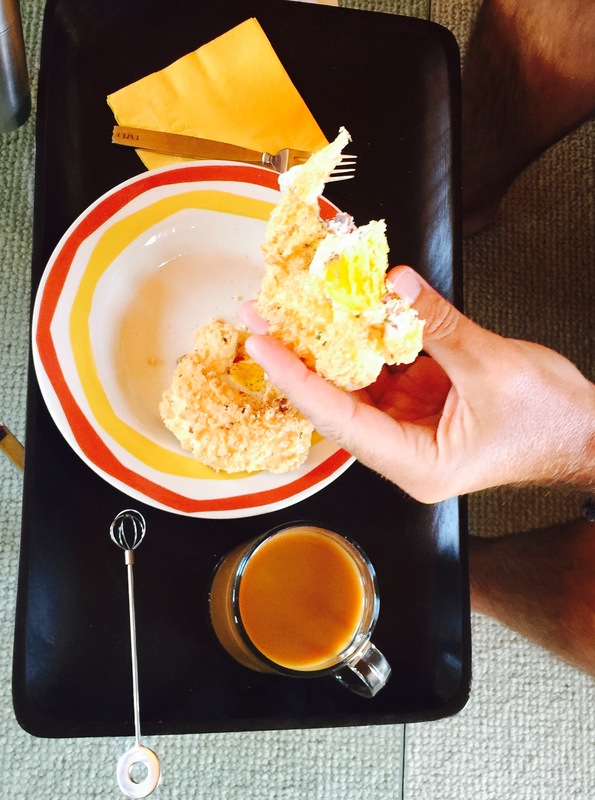 Everyone will love this breakfast surprise.. kids, adults, grandparents, everyone. 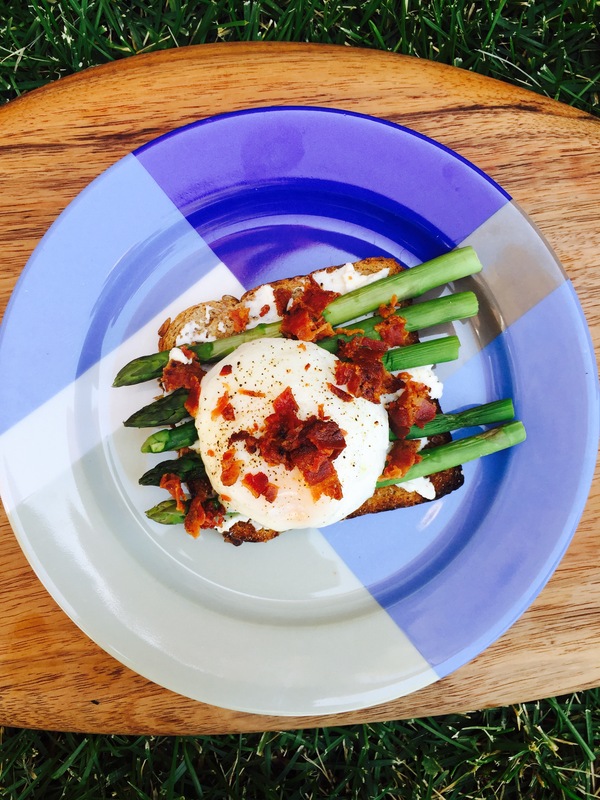 Its the perfect way to start off your Easter celebrations the right way! Happy Easter! 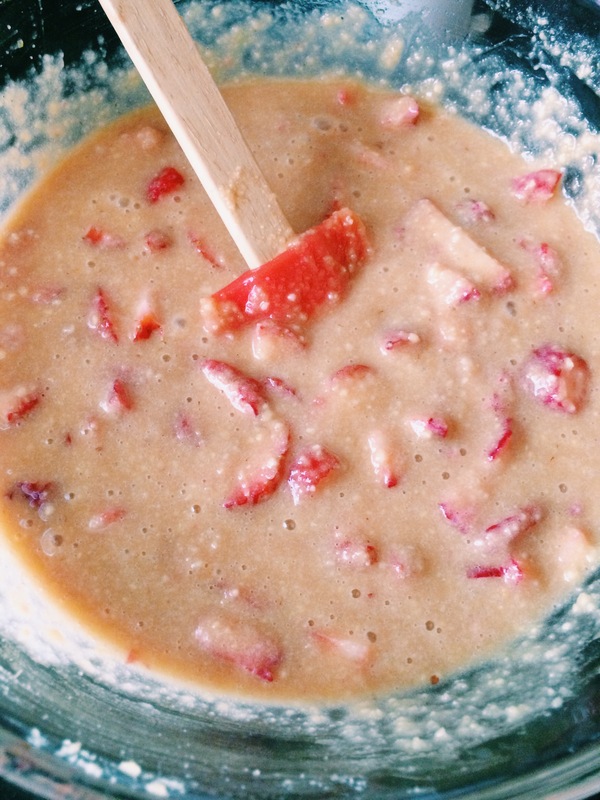 Combine all pancake ingredients in a bowl or blender until smooth consistency. Pour batter on to hot pan and flip over for a golden pancake. For one plate make one large pancake, one medium pancake, 2 small pancakes, and 2 small triangle looking pancakes. 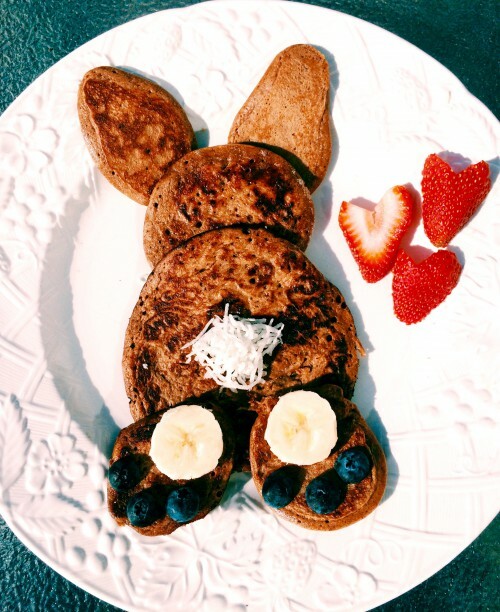 Tip: For creating the bunny’s ears, instead of pouring the batter on to the pan into a round dollop like you normally would for round pancakes, pour the batter in a line shape so that the pancakes are more stretched to look like an ear shape. 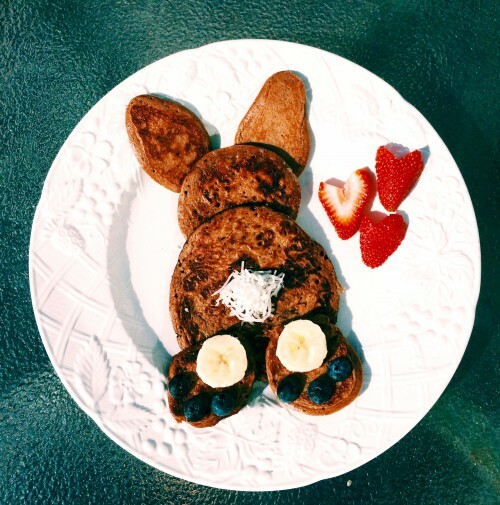 When done, place pancakes in the shape of a bunny. Add the shredded coconut at the bottom of the bunny for a fluffy cotton tail. Place the sliced strawberries on the side as hearts. 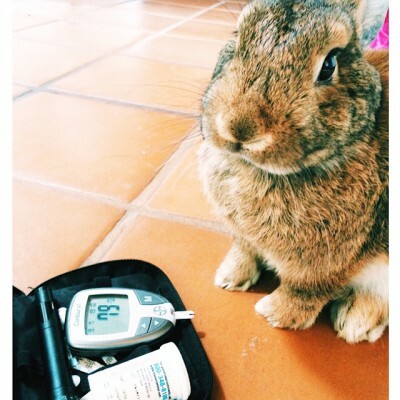 And place the 6 halved blueberries on each foot of the bunny. Finally, place 2 slices of bananas on each of the bunny’s foot. 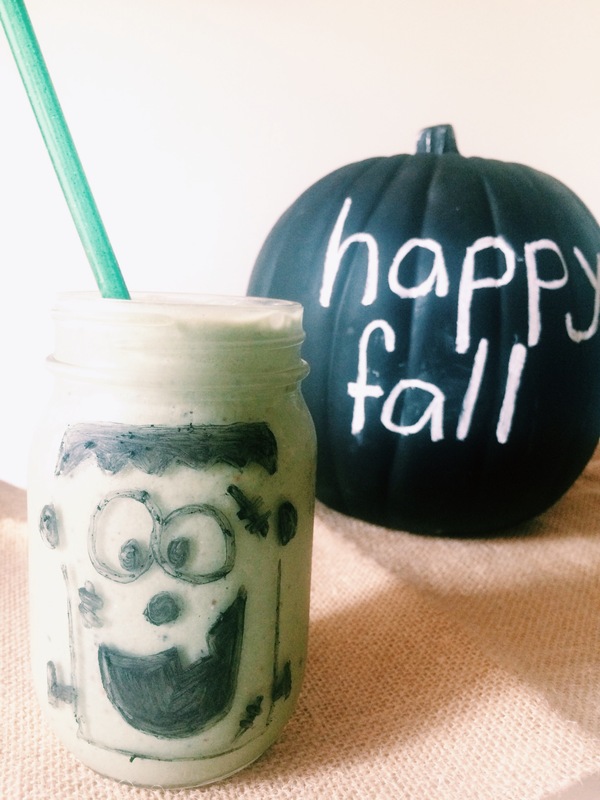 Admire this cute creation of yours and devour! 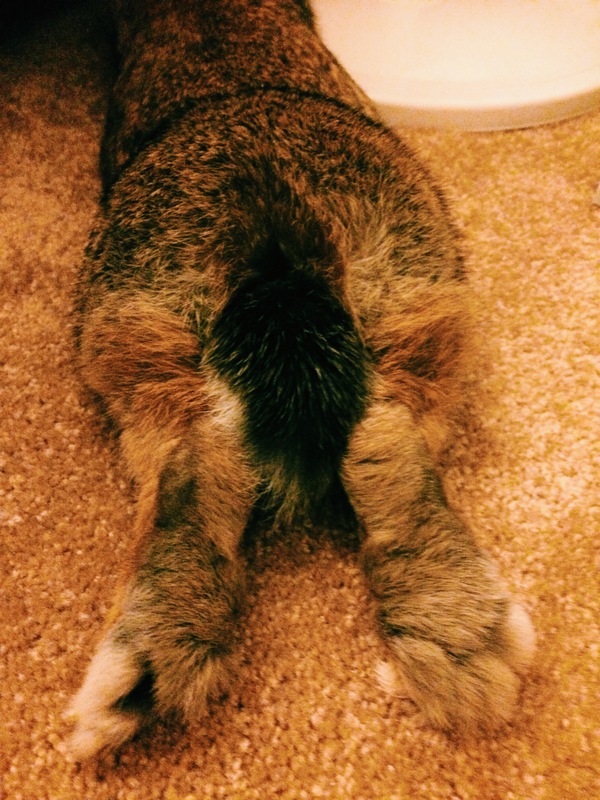 My pet bunny, Winnie was my inspiration and muse! One of my favorite things is waking up in the morning to fresh, warm, homemade muffins. 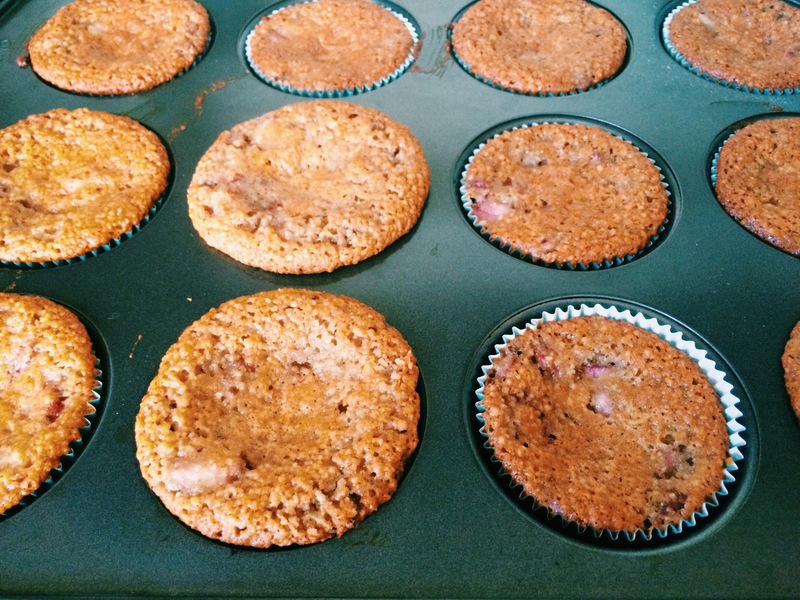 Today I wanted to make some delicious spring themed Paleo Strawberry Muffins using my Easter muffin cups! How festive! These guys are gluten free, grain free, low carb, and low sugar! And still tastes delicious! The sweetness of the fresh strawberries baked in gives each bite a sweet pleasant surprise. 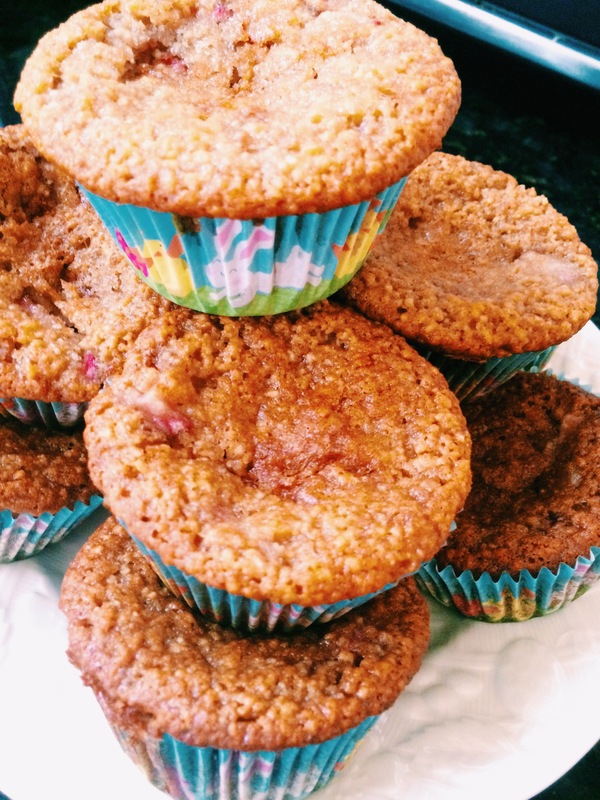 These spring time muffins are soft and fluffy, just like an Easter Bunny. Combine dry ingredients in a large bowl. Then combine wet in another bowl. Stir in wet ingredients to the dry ingredients bowl. Bake for 20-25 minutes. 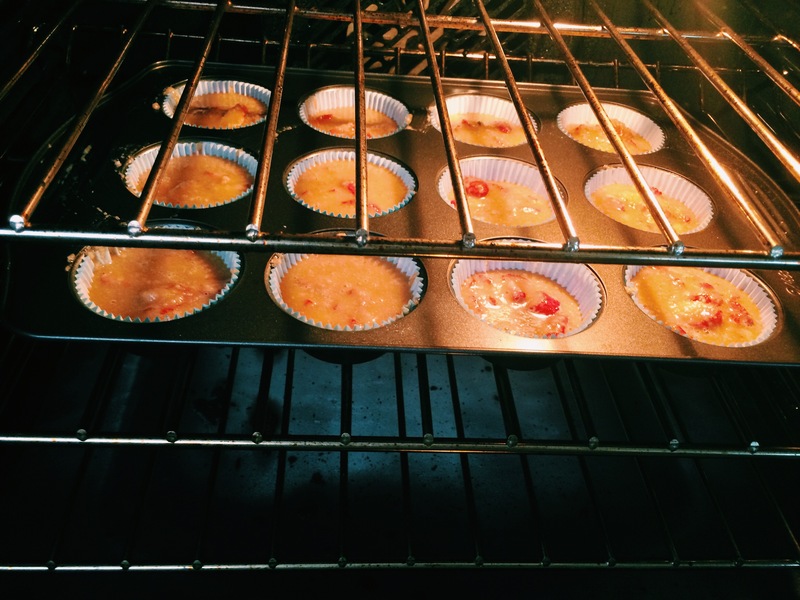 Check to make sure muffins are done by sticking a toothpick into the center of a muffin to see that the toothpick comes out clean.